Are you looking to rent a luxurious party bus or limo for your next event, wedding, birthday party, or spontaneous night out? Look no further than Cypress Premier Party Bus! We offer top of the line party buses & limos, along with exceptional customer service and profession chauffeur's to make your night, or day, as enjoyable and stress free as possible. Call Cypress Premier Party Bus today, or submit your free instant quote on this page, to learn more about our party bus rentals, and other limo services that we provide here in Cypress, Texas and other surrounding cities. Our fleet is the best in town and our goal is to ensure that you receive the greatest quality service at the most affordable price. Here at Cypress Premier Party Bus, our party bus rentals and limo rentals provide a fun and safe environment to help kick off your night right away. 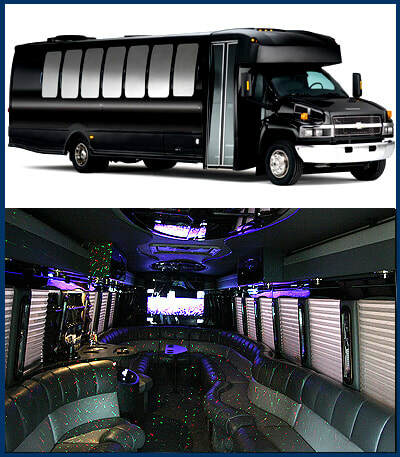 Cypress Premier Party Bus offers the most exceptional party buses for your special night out. You can be sure to receive extraordinary service and phenomenal pricing, all while riding in a luxurious yet comfortable party bus. Whether you are looking to get your party started right away on one of our fun and fantastic buses, or sit back, relax, and enjoy the luxury of riding in comfort and style, we at Cypress TX Party Bus are here to provide that for you. Our remarkable chauffeur’s are available to transport you and your party safely and efficiently to the destination of your choice. Our driver's provide impeccable service to ensure that your night begins, and ends, on a high note. We here at Cypress Premier Party Bus want to get your party started off on the right foot. We are here to serve and help you in any way we can by providing outstanding customer service, competitive pricing, and the highest quality party buses in town. Party buses not your thing? We also have a variety of limos and town cars to suit your needs. 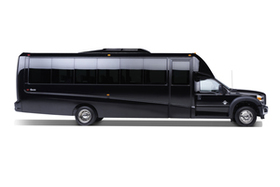 Like our party bus rentals, our limo rentals and town cars are top of the line vehicles at affordable pricing. Whether you are celebrating an anniversary, going on a double date, or getting a small group of your closest friends and family together to celebrate a big achievement or birthday party, we have a wide variety of limos and town cars to take you where you want to go and get you there is style. WHO? Cypress Premier Party Bus is a team of true professionals who strive to provide the best quality service to each and every one of our customers. Our priorities are to ensure that all of our customers receive the best possible service, offer the best deal in town, and supply first rate vehicles and transportation. WHAT? Cypress Premier Party Bus is here to make sure you arrive at your special event in style. 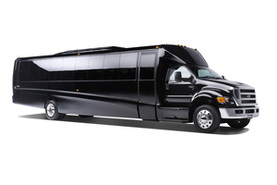 Our party buses are top of the line vehicles that are superb to any other fleet in town. 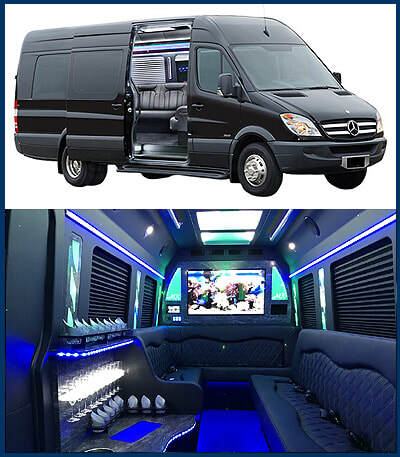 Whether you are enlisting our services for a birthday party, bachelor/bachelorette party, wedding, special event, or a fun night out of the town, your night is sure to start out on a high note with one of our world class vehicles. WHERE? We are currently serving Cypress, The Woodlands, Spring, Tomball, Conroe, Shenandoah, Porter, New Caney, Kingwood, Humble, Kingwood and the greater Houston area. We can arrange to pick you up anywhere in the greater Houston are and take you to your desired location. We cover everywhere from Harris County to Galveston County, and everywhere in between. WHY? Why choose Cypress Premier Party Bus for you party bus rental service? Because we are simply the best choice! There are a lot of party bus rentals in Cypress, but we are not all the same. The professionals here at Cypress Premier Party Bus always provide excellent customer service, and we constantly strive to provide the safest and most stress-free environment for you and your party. Our first-class fleet will have you riding in the lap of luxury. Not only that, but our party bus rentals are competitively priced to give you the best, and most affordable, deal in town. HOW? You can book your party bus rental today by simply calling this number, or by filling out our free instant quote form. You will quickly be put in touch with someone from our team here at Cypress Premier Party Bus who can help you get started on your party bus reservation. 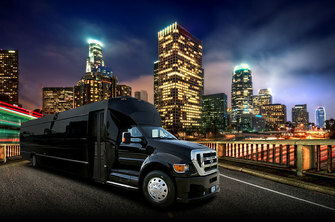 ​TO BOOK YOUR PARTY BUS RENTAL! "By FAR. The best party bus service around. My husband and I have rented their party buses and limos for multiple events. We are the definition of repeat customers because of their awesome fleet and top notch customer service. I recommend Cypress Premier Party Bus to everyone I know. Thanks Mark for providing such excellent service for an affordable price. -Tiffany H."
This website is owned and operated by MK Limo.